Pumpkin Carving Contest – Win a $50 Gift Certificate! Calling all artisans, aspiring artists, and pumpkin lovers everywhere! a $50 Homesteader’s Supply gift certificate! Post your entry photo (or video) as a comment to the Pumpkin Carving Contest post on our Facebook page. The post will be pinned to the top of our page, and will appear as the first post on our Timeline for the duration of the contest. By the way, now’s the perfect time to Like our page, if you haven’t already done so! Even though we’re officially calling this a pumpkin CARVING contest, your pumpkin may carved, etched, or decorated however you like. You may submit as many entries as you like, but please post them individually, one pumpkin per comment. You must submit only your own work. Contestants must be at least 18 years old to win. However, children’s artwork is acceptable if submitted by an adult. Promotional entries are not acceptable for this contest. This contest ends November 15, 2015. The winner of the $50 Homesteader’s Supply gift certificate will be chosen by Homesteader’s Supply staff. The number of Facebook “Likes” an entry receives will greatly influence our final decision. When an entry has been posted on our Facebook page, the copyright belongs to Homesteader’s Supply. Do not submit entries that have already been submitted elsewhere unless you own (or have regained) the full copyright and you have the permission of any third parties involved. We reserve the right to publish the winning entry, as well as the prize winner’s first name and last initial, in our Newsletter. 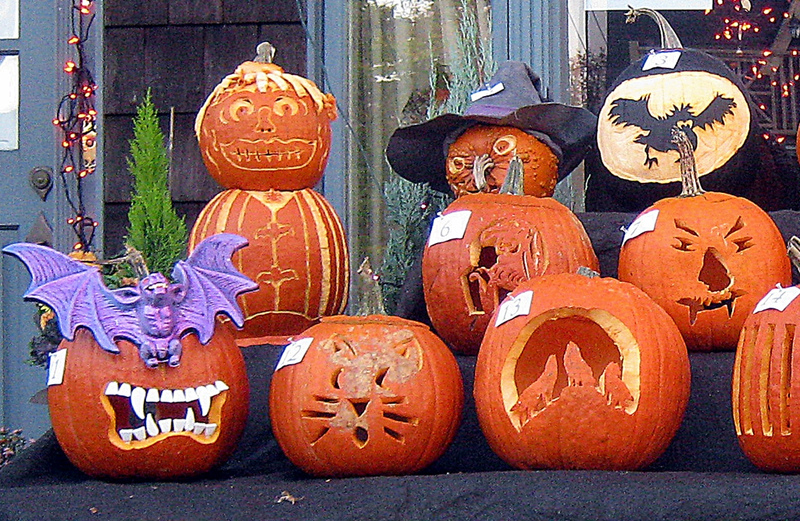 For professional pumpkin carving tips, see our Weekly Newsletter for 10-17-2015. After you’ve reviewed the rules, submit your entry here. This entry was posted in Giveaway and tagged contest, giveaway, pumpkin carving on October 21, 2015 by Homesteader's Supply.